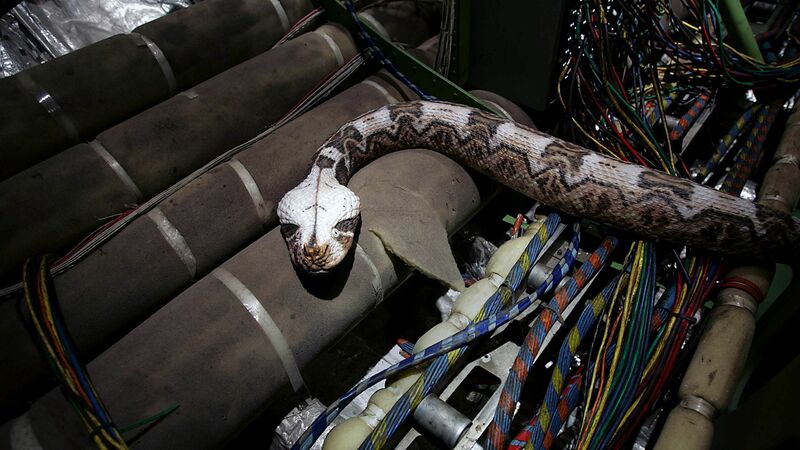 SNAKES ON A PLANE's magnificently self-explanatory title triggered a cascade of buzz and anticipation, and fans of truth in advertising will be relieved to learn that the movie lives up to its billing in every way: there are many snakes, they are on an airplane, Samuel L. Jackson is there to show them who's boss, and the results are just as fun as they are silly. Jackson stars as Nelville Flynn, an FBI agent escorting a witness (Nathan Phillips) on a flight to Los Angeles. Phillips is supposed to testify against an evil mobster, but the details really aren’t important, and the filmmakers are smart enough to focus on what counts: a variety pack of poisonous snakes is released mid-flight. To make matters worse, the snakes are crazed and violent because of pheromones, leading to the truly classic Samuel L. Jackson line, "Great. Snakes on crack." 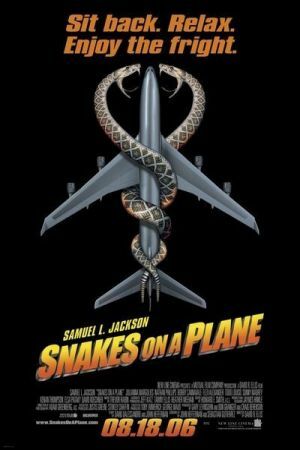 With the notable exception of Jackson, most of the cast couldn't act its way out of an airplane barf bag, but that’s probably for the best, as good performances would only serve as a distraction from the snakes--who have no trouble springing out of luggage compartments, toilets, and even mouths. The flight includes a standard array of monster-bait, including an arrogant rapper (Flex Alexander), his bodyguard (Kenan Thompson), a flight attendant on her last trip (Julianna Margulies), a rich princess (Rachel Blanchard), and an irritable misanthrope (Gerard Plunkett). But mostly, there are snakes. The script is full of punch lines, some intentional and others not, but the movie expertly treads the line between spoof and sincere B-movie, and fans of both genres should be thoroughly satisfied.